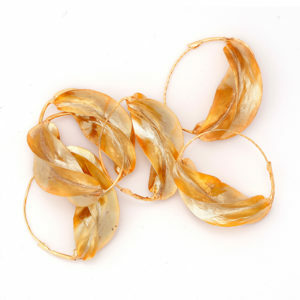 The chains are made with a double brass chain and Baule brass on cord with terracotta. 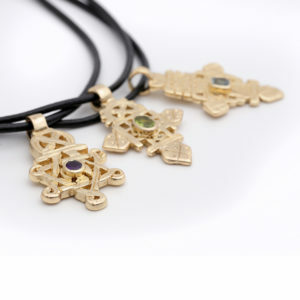 Description: Gold-plated large Ethiopian cross on double brass chain; BAule brass on cord with terracotta. 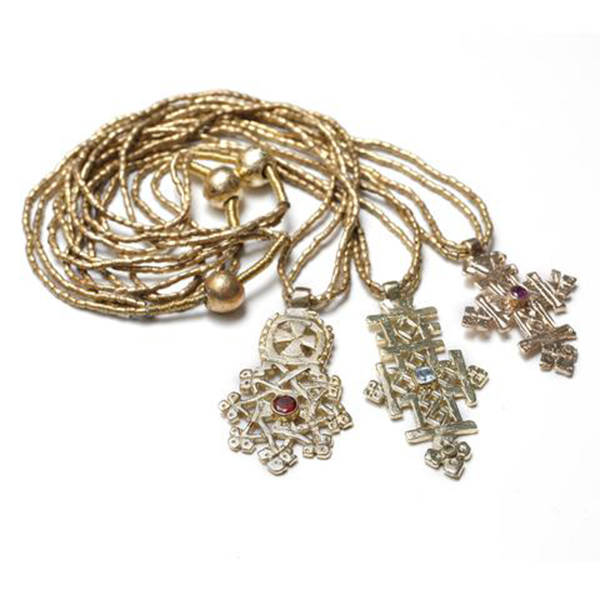 Components: Gold-plated Ethiopian cross on double brass chain; Baule brass on cord, gold beads and terracotta. Production & Order Timing: 4 weeks for <100 units / 8-12 weeks for >500 units. Moulds can be made and cast for large orders.